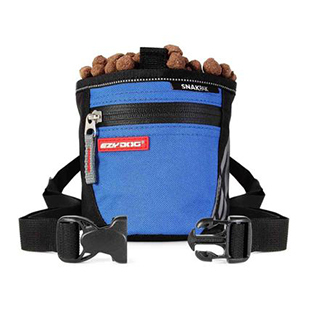 Add EzyDog's original shock absorbing technology to any leash or dog lead. The additional 24 inches of freedom brings tons of versatility to your short and in control dog leash. Clip on two dog leash extensions for multi dog control. Who says walking two dogs at once is twice the hassle? With a smart, tangle-free leash extension, it can be twice the fun! No matter what adventure you are on, whether it's a calm walk along the beach or an exciting race, you can take both dogs along with a dual dog lead. Swivel rings allow for flexibility and movement to keep your dogs from getting tangled up, and the comfortable handle of the Mongrel leash makes it easy for your hands to handle the strain of two dogs pulling at the leash. If you need to add some length to the short Mongrel dog leash, clip on a Mongrel leash extension to give you and your dog a bit more freedom. With an amazing shock absorbing section and strong, dependable material used in the cord, the clips, and the rings, this is a leash you can count on to be up for any challenge. Don't forget to add a unique dog collar, durable dog harness, or even a dog leash coupler directly from EzyDog! One of the main purposes of the our versatile short dog leashes is for training. At first it is helpful to keep your dog close by your side as you begin teaching them. But as you make progress, you will need to add some length to the leash. The extension gives you options by making it easy to switch back and forth between a short leash and a long leash. This definitely comes in handy with training! 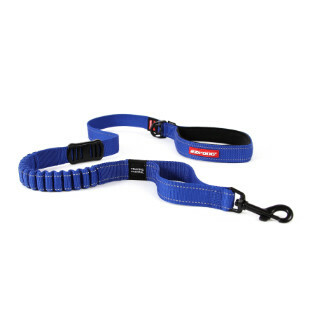 Use with a Mongrel dog leash for added length and shock absorbing technology! Use with the Mongrel dog leash for 2 leashes in one, either a full 36 in. leash or a shorter 12 in. leash, all in one easy step! The mongrel system allows me to place my lab on just a handle, a 4 foot lead, a 2 foot lead, or to connect the handle directly to her harness. Allows me to control her in many situations. Mongrel Extension- have 2Siberian Huskies. Use these extensions added to their leashes. They are excellent for controlling pulling. The extension is extremely strong, has a bungee flex which helps control a dogs pull. Bwould recommend this extension to anyone with a dog!!!!!!!! I have two Rhodesian Ridgebacks, and together they definitely out weigh me. I bought this leash 5 years ago and have used it every day since. I have one mongrel lead with two extensions. I am ordering replacement extensions today, because I lost one of them when we were hiking. It must have fallen out of my pack. This is a great product and it really lasts! We bought the mongrel handle and one bungee extension for each of our dogs. Neither of them really pull but it's nice to have in case u r caught off guard. Disappointed that the white bungee material frayed on one of the extensions, making it look like a leash with "tentacles" as we walk our dogs. EzyDog - Hi Steph - please feel free to email us a picture of the frayed extensions. We would be happy to assist. ...the loop around the clip broke after only 2 weeks and my lab wasn't even pulling hard. If it hadn't broken this would be the best leash ever. Hopefully the store will replace it, but I can't find my receipt. this is not typical and is covered under warranty. Please contact us by email if your situation has not been resolved. I love it. I have an 80lb pit bull that would rip your arm off, not with the mongrel and extension. I got it at the dog fair in our home town of Spokane, WA. I have started riding my bicycle with my dogs along side. The ezydog products caught my eye at the local pet store for their quality, durability and good looks, too! The Mongrel extension is perfect for my needs. I attach it to my rear bike rack with a carabineer and away we go! It keeps my doggies near enough that I can control them and far enough away from the bikes moving parts. The spring action is the perfect shock absorber! Thanks to you our rides are much more fun! We look forward to trying your other products. My only regret is not finding you sooner..